Chapter 2 Page 6 is up. Cienan makes a very strange request of Jassart in return for his help. Jassart is less than amused. 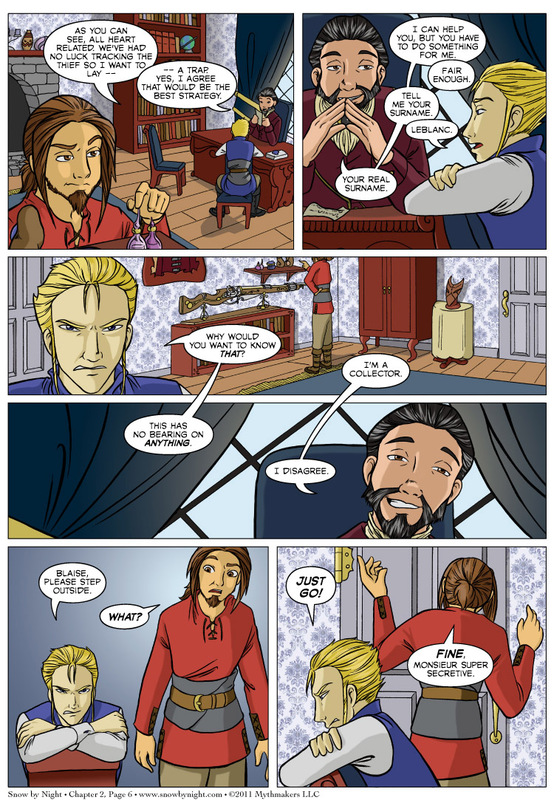 This update’s vote incentive is a glimpse at what Cienan offers Jassart to help them catch the thief. Vote for us on Top Web Comics to see. Otakon is this weekend. It’s going to make uploading the almanac entry on Friday an interesting experiment. We haven’t done this on the road before. Diane is great so I’m sure it will go of without a hitch. Please come see us in the Artists’ Alley. We’re table U-07, which you can find on this handy Map of Artists’ Alley. Lol! I luv that last panel! And I’m having a City of Bones de ja vu with this last name business. Good luck at Otakon! I hope the con goes very well for you! Wish I were near to drop by and say meet you…. Ah, well. You’ll make it to the NW one of these days I’m sure. This feels very Scott Lynch to me, if you’ve read the Lies of Locke Lamora. If you haven’t, it would probably be a novel (and start of a series) that you’d really like, judging from this. I mean in both story AND art. (: As far as comics, I don’t read as much as I used to; I was keeping up with The Dreamer, The Meek, The Phoenix Requiem, and Red String .. there used to be many more but a lack of updates cut my interest. I’ve never heard of Scott Lynch. 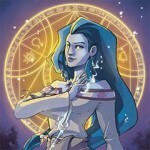 Think “Ocean’s Eleven” as a fantasy novel, low on magic. I’m really reminded every time I read SbN. Oh also: The Meek and Red String are new to me, I’ll check them out! Two thumbs up for Dreamer and Requiem though. Very mysterious indeed. And I love his angry expression.